Meisenheimer took the image using his Nikon D810 and Nikon 14–24mm f/2.8 lens at 14mm, 1/20 second, f/18, ISO 64. The image is a composite of three shots for the foreground and one for El Capitan and the sky. Autumn colors add vibrance that make it a great time for photographers to shoot. Even Yosemite National Park seems no exception to this. 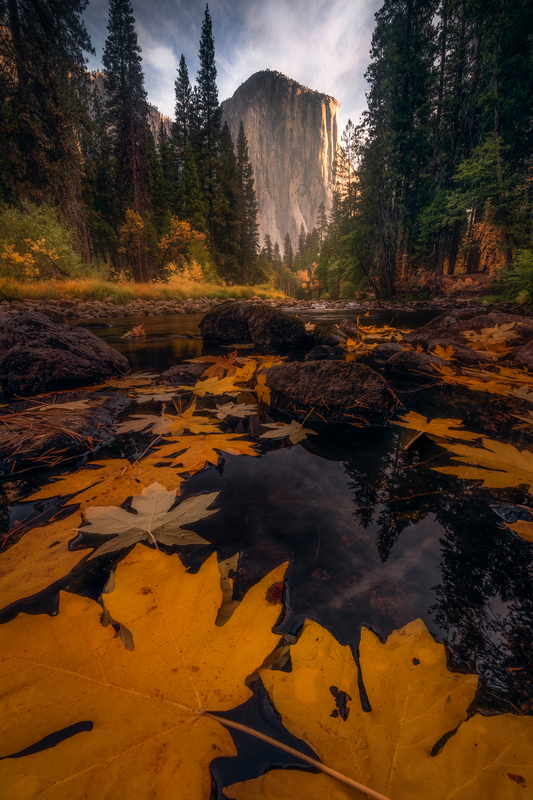 The colorful yellow maple leaves in the foreground and the trees in the background changing colors work as a leading line to draw attention to El Capitan. Meisenheimer has definitely composed the image beautifully.